Bank of Ireland’s Joe Oliver is joined by head of FX Trading & Strategy Lee Evans, and head of manufacturing for business banking Brían Evans to discuss Brexit. Bank of Ireland’s latest Brexit update sees senior dealer Joe Oliver joined by head of FX Trading & Strategy Lee Evans, and head of manufacturing for business banking Brían Evans. The three sat down in Grand Canal Square to discuss the latest challenges around Brexit after the recent “Plan B” vote in the UK Parliament. Lee Evans opened by discussing the vote and what it means for foreign exchange rates. “We had the votes on the amendments in the UK parliament and there were three main amendments that took the focus of currency markets – the Spellman amendment, the Brady amendment and the Cooper amendment. Brían Evans gave a great insight into the biggest challenges for manufacturing businesses and what they need to address ahead of Britain leaving the EU. “In the last two and a half years since the vote to leave the EU, I’ve visited over 200 companies and we have gathered a lot of insights into the challenges. 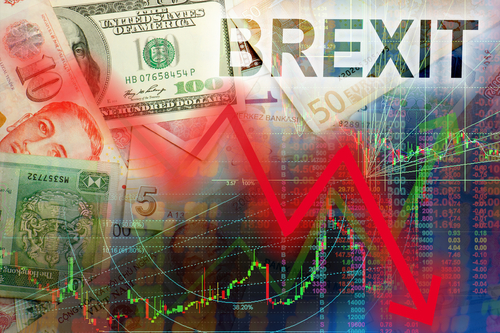 The first one is foreign exchange management and after that it comes down to understanding their exposure to the UK market, being able to quantify that exposure and having an investment plan to support their Brexit action plan. Companies do this by analysing their direct and indirect route to market and their supply chain from the UK or through the UK to identify and understand what the risks are. Despite the opportunities that may arise from Brexit, certain sub-sectors in the manufacturing industry may be vulnerable but Brían says it depends on having a deal or no deal Brexit. “In terms of sub-sectors in the manufacturing industry that are particularly exposed – it depends on whether we have a deal or a no deal Brexit. If we assume we have a no deal Brexit, companies that have products with a short shelf life, low margins, products that are easy to replicate such as food processing, they would be exposed. If we end up with a deal, we’ll have some sort of customs harmonisation so if we get that we’d say it’s business as usual,” says Evans. “We are supporting our customers through a dedicated team of dealers who are up to speed on what is going on with Brexit. We have the Brexit portal which gives great information and updates and we have also increased the unsecured FX fund from €20 million to €50 million. The bank is here to support its customers and we’ll continue to do so,” says Lee Evans. 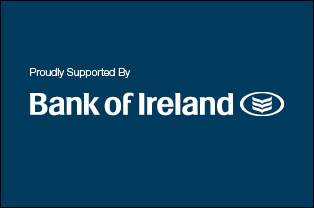 Bank of Ireland launched a new Brexit Portal, providing guidance and expertise for domestic and international businesses, and supporting a series of free “Prepare for Brexit” events across the country. You can access this portal here. You can also watch the full ‘vodcast’ below.